Problem solvers are my passion, and have created many throughout my life. For instance, Cold Sores Begone™, which prevents a cold sore from materializing, and Canker Sores Begone™, that heals burning canker sores inside the mouth within a day or two. I like using stuff that won’t kill me later so both remedies are non-toxic, safe enough for small children, and topical. I’m compassionate about all living creatures (even humans). I occasionally volunteer for various pet rescue events, and donate to rescue organizations, including the Elephant Sanctuary in Tennessee, the nation’s largest natural habitat refuge developed specifically to meet the needs of old, sick or needy elephants who have been retired from zoos and circuses, often under abusive conditions. I was born in 1951, on October 29th, the date the stock market crashed in 1929 starting the Great Depression. Black Monday, it was called. You’d be surprised how this reference helps people remember my birthday, whether they want to or not. My parents moved from Plainfield, New Jersey to southern California in 1954, where I’ve lived since. 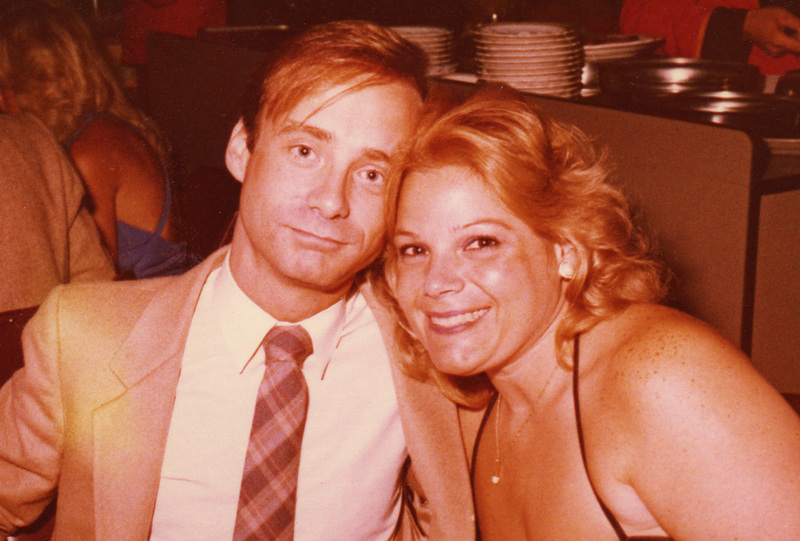 I had a typical suburban upbringing — my dad, an electrical engineer in the aerospace industry, my mother, a housewife, and little brother, Steve, who was born 3 months after we hit California. There were family vacations, PTA, Brownies and Girl Scouts, my brother was in little league. In 1963, my parents had a bitter divorce. Even though both remarried within a couple of years, the anger between them continued, affecting my brother and I. It was during those years that I started to develop cold sores several times a year. No surprise, since they’re commonly triggered by stress and fatigue. I quickly was able to recognize the dreaded early warning symptom of an impending eruption – a tingling sensation on the lip. Worse than the physical pain of a cold sore was the immense embarrassment how it looked for two long weeks until it healed. They occurred several times I year, yet I never developed the ability to just roll with it. Years later, in the early 1990’s, I had been working in a non-clinical department of a major teaching medical center in Los Angeles. At that time, medical centers and hospitals throughout the United States were going through difficult times due to Medicare reimbursement changes. All had massive layoffs, all hospital employees worried about their jobs and acquired additional responsibilities due to those who had been layed off. Like everyone else, I was on tenterhooks, but I had additional worries. A long time relationship ended, and one of my dearest friends, Peter West, was terminally ill. I was the one helping him through that journey. The extraordinary stress was triggering more cold sore infections than usual. On one occasion, I had a fever and flu-like symptoms, and called in sick. By the end of the day, flu symptoms were gone, replaced by a painful cold sore. I was concerned the stress I was under would continue to trigger more of the same, then having to call in sick to my boss, a notorious bully, and I was her favorite target. I needed that job, which inspired me to find a solution for the cold sore problem. With no science background, I came across a German clinical study involving herbs that held promise in the early treatment of a herpes simplex infection. I purchased the herbs, and at home in my kitchen, created a topical mixture ready to use for when I next felt the tingling sensation on my lip. When the day arrived, without optimism, I applied a small amount of the herbal mixture. Typically, the eruption would start 20-30 minutes after the tingle. I waited. And waited. Hours passed, no eruption. Did I rejoice? Did I see visions of a Nobel Peace Prize? No. I couldn’t fathom that I could invent anything, let alone a preventative cold sore remedy. I was convinced I had mis-interpreted what I thought was the early warning symptom. Yet with each subsequent episode, I achieved the same results. No eruption. 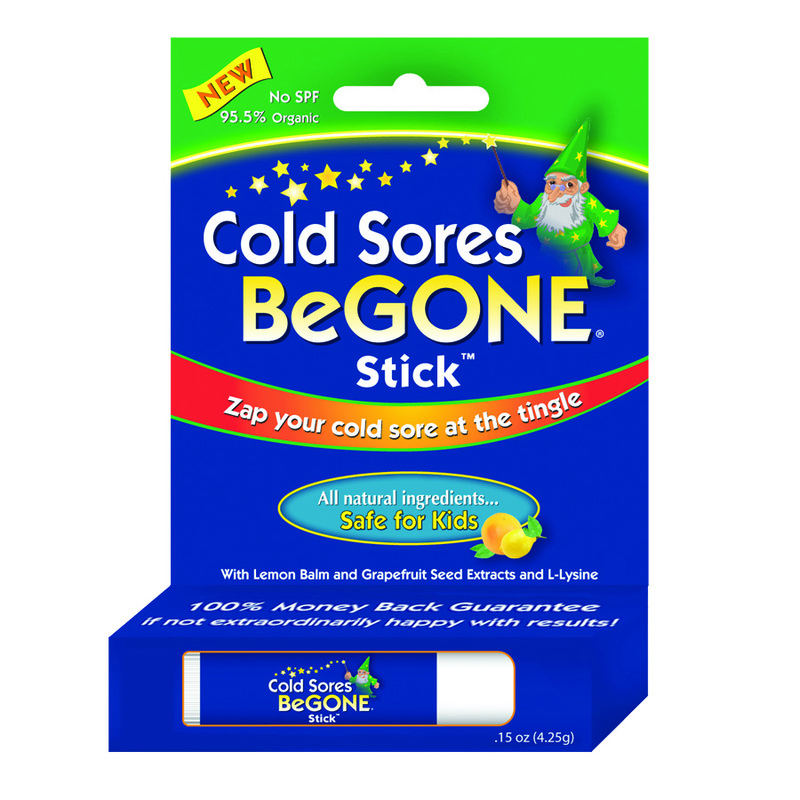 A few times, I neglected to apply it in time, and like clockwork, a cold sore started within 30 minutes. I applied the herbal mixture to my now swollen lip several times a day. It reduced the duration from two weeks to 3-7 days (it varied) and the sore was always less severe. Good, but not better than prevention. In 1994, at 43, and after 14 years at the medical center, I was layed off. 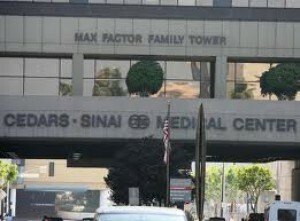 The Medical Center was where I ‘grew up’, acquired confidence, established many friendships. It was the comfortable, familiar place from where I was going to retire. I was devastated and still raw from Peter’s passing three weeks earlier. With money Peter left to me and the severance from the Medical Center, I made the decision to use it to seed marketing efforts to bring my home remedy to the natural products industry. With no experience or knowledge about manufacturing or starting a business, certain events came together to get things started. A couple of weeks after leaving the medical center, I was at home working at my desk. The phone rang. 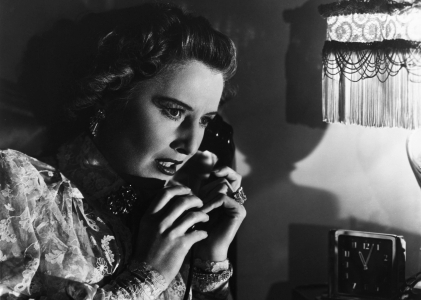 It was a woman who dialed a wrong number, but for some reason, we started to chat. 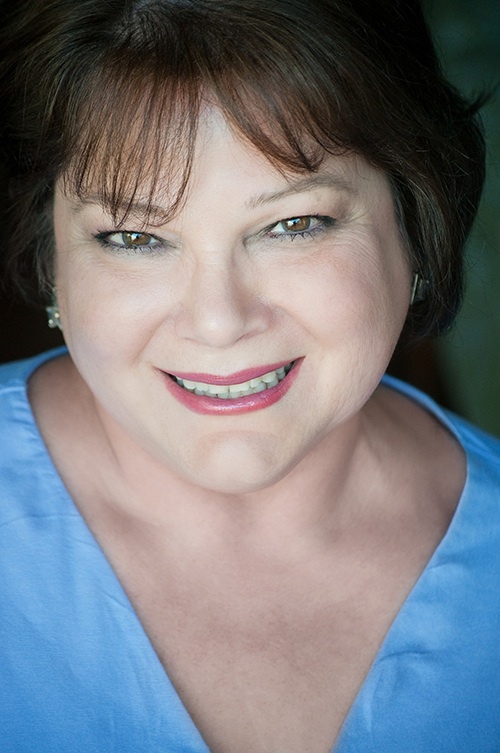 She was a member of a trade organization of small business owners in the cosmetics industry. We spoke for 45 minutes when she invited me to be her guest at that night’s meeting taking place 3o minutes from my home. I was reluctant, but accepted. There I met the variety of suppliers I needed. One was the owner of a contract lab in southern California who accepted small minimum orders. With their help, the taste of my remedy improved, and they assured compliance with the FDA monograph for over-the-counter cold sore products. I still needed a product name which I wanted to honor and memorialize Peter, who was highly intelligent, hilarious, amazingly creative and did things in unique, meaningful ways. He was grounded, his advice always right, and loved summer and baseball games. He was patriotic, believed in absolute self-responsibility, was magical, and generous. He once gave me a book entitled “Attracting Wealth”. He had tucked a crisp, new $100 bill in at the beginning of each chapter. He collected pewter wizards because they symbolized his magical ability to make things happen. And there it was, the product icon to memorialize Peter, a wizard with magic wand. Soon after, at a small dinner party, a friend jokingly threw out a name “Cold Sores Begone!” It clicked. I thought it was perfect. Nervous no one would buy, I drove to each of the stores daily for weeks, counting how many bottles remained. After a moderate amount of time, all bottles had sold. It was a huge day when the largest of those health food stores, Erewhon Natural Foods Market in Los Angeles, made a permanent shelf tag for the item and changed the terms, without my having to ask, from consignment to Net 30 days. Eventually, I recognized the need to have Cold Sores Begone™ available through trade distributors serving the natural products industry. Health food stores prefer to purchase through a distributor due to financial incentives and efficiency. I made a presentation by mail to a major distributor on the east coast, and after one year of following up, there was no response. As the buyer told me later, one day, she felt a cold sore coming on. She remembered my sample, now collecting dust on the top of her file cabinet. She applied it, and the cold sore never surfaced. She approved Cold Sores Begone™ on the spot. With this major distributor now a customer, it opened doors, and was able to obtain product approval from other distributors throughout the country. Store buyers started mentioning their customers were asking for a canker sore remedy for the painful ulcerations inside the mouth that make eating, drinking, and talking difficult. I was also a canker sore sufferer, and had noticed a pattern that when I developed one, there had been stress, fatigue, or the pain and irritation of a dental procedure. I learned many canker sore sufferers experienced the same triggers prior to an outbreak, and had an idea for a canker sore formulation. 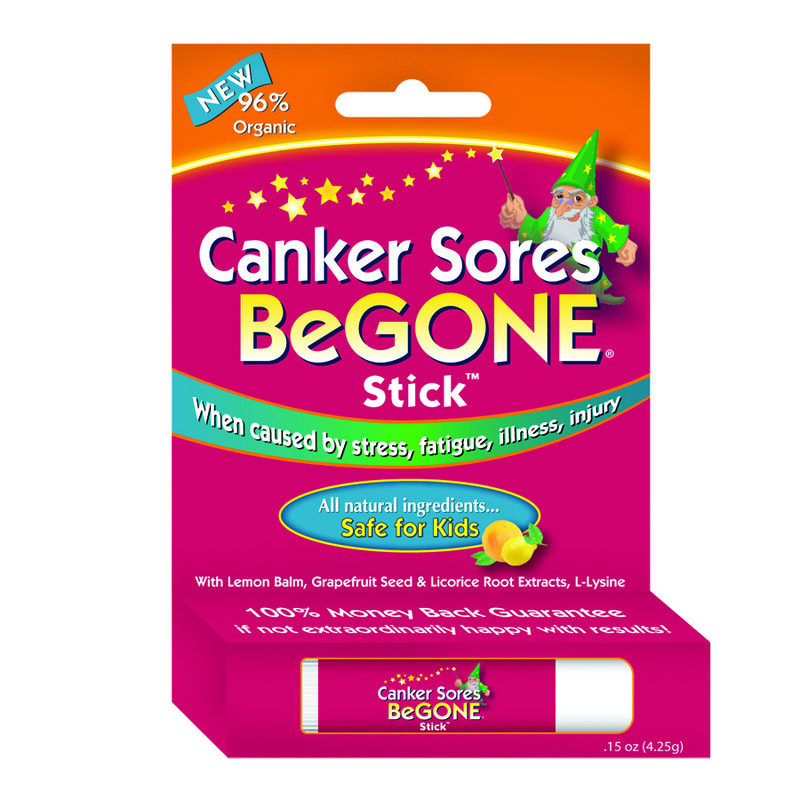 In 2001, Canker Sores Begone™ was launched. I began to receive phone calls and email from an unexpected population – those undergoing chemotherapy and radiation treatments. They were reporting it was the only product or prescription drug that relieved the pain and healed the sore. The length of time for pain relief varied, but all said it worked like nothing else. Like most of you, my life has been touched more than once by cancer. In 2005, I lost my only sibling, Steve, to lymphoma. I’m acutely sensitive to cancer related pain having endured it through my brother and a few others close to me. The reality was difficult to wrap my mind around, that I, a former failed Avon and Amway distributor, created a tool that provided relief from pain, and improved the quality of life for a segment of the population. Apparently, I’ve made a difference, something which seems to be very important to me. In 2003, the alternative health editor at PREVENTION Magazine, also a cold sore sufferer, prevented an outbreak using Cold Sores Begone™. She contacted me to advise she was writing an article about her experience in an upcoming issue. My first retail website was created to provide their readers with information, and ability to order online or by phone. This was a major event for my company and led to other articles in health oriented publications, each of which published rave reviews. 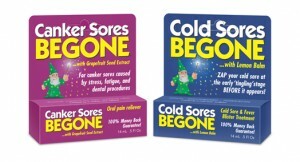 Today, still a small company, and without the advertising budget of the bigger guys, Cold Sores Begone™ and Canker Sores Begone™ have now sold in the hundreds of thousands due to word of mouth, website exposure, store placement, and magazine product articles and reviews. 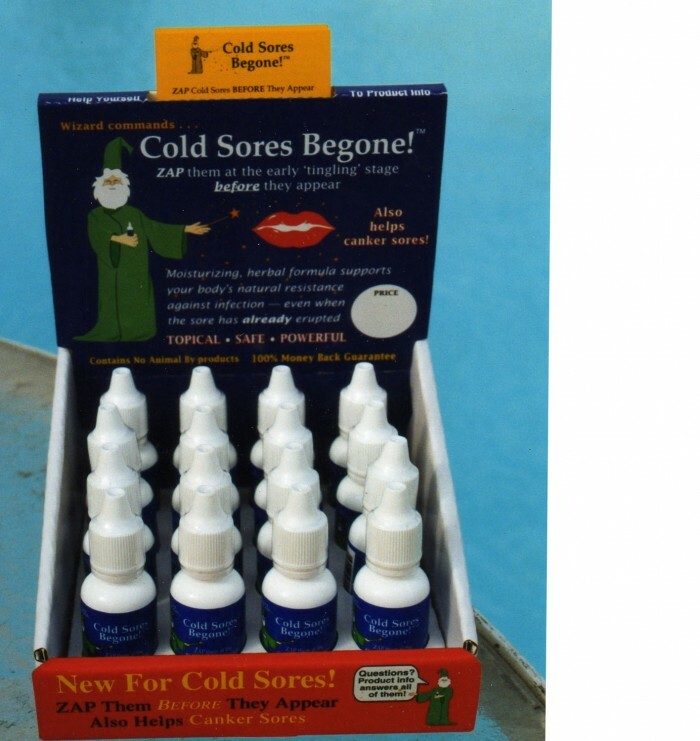 I’m quietly overwhelmed with gratitude when I hear from customers that Cold Sores Begone™ or Canker Sores Begone™ has made a difference for them.